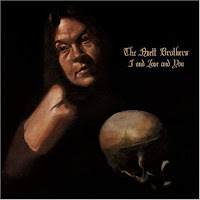 The Avett Brothers' latest release I and Love and You maintains their precious, affect-heavy lyrical style and divinely constructed classic-style instrumentation. It is an album laden with individual hits, some that fit together more or less because it's a major label debut. Tracks like "Kick Drum Heart" and "Ill With Want" are solid but also demonstrate the single-quota/filler requirements of a major label record. There's really not a bad song on the album, just some that could be given or taken, that feel less like Seth's and Scott's babies and more like leftovers. The tone is bright, lighter for the most part, but does taper down to calm and somber by the final tracks. Rick Rubin produces a great album. The sound is lush, and picks up every nuance of The Avett Brothers obvious and remarkable musical talent. A fan of Emotionalism will not find disappointment in I and Love and You, but it's a different kind of record: Sunnier, higher-fidelity and more a pop-functionality ambitious. "Ten Thousand Words," "I and Love and You," and "Tin Man" are other tracks, than those mentioned above that really drive/design the album. Monsters Of Folk's Wikipedia page labels them as an American supergroup, and while by definition that may be true, I take issue with the fact that they are essentially unproven as a "group". It's one thing to put a handful of talented musicians together, but we've seen failure in the past in the form of Audioslave. A "supergroup" is not always valued as the simple sum of its parts, there has to be something deeper that amalgamates the individual styles into something greater and often more memorable. Look at Crosby, Stills, Nash & Young, or Derek and the Dominoes, both bands that threw together talented musicians and then produces arguably timeless rock/folk songs. There is no "Layla," or "Suite: Judy Blue Eyes," or even "Our House" on Monsters of Folk's album Monsters of Folk. It is more or less a nice sampling of the individual styles of music of Conor Oberst, Jim James (credited as Yim Yames, again), Mike Mogis and M. Ward. The album is fun, folksy, at times raucous, and showcasing all the talents of the players, but each track just sounds like Conor Oberst feat. 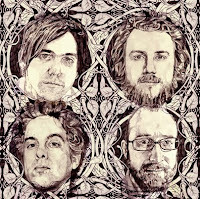 James, Mogis, Ward, or Jim James feat. Oberst, Mogis and Ward, and so on. They clearly have fun playing together, but the album functions better as a Time/Life collection of these "monsters of folk" than as a supergroup. "The Right Place," "Ahead of the Curve," "Whole Lotta Losin,'" and "Map of the World" are excellent. And really, despite my beef with the perhaps magically veiled full-collaboration, it is a fun, poppy, guitar and drum, driving little 4/4 album.